A sofa with rounded forms, which will make you completely relaxed. 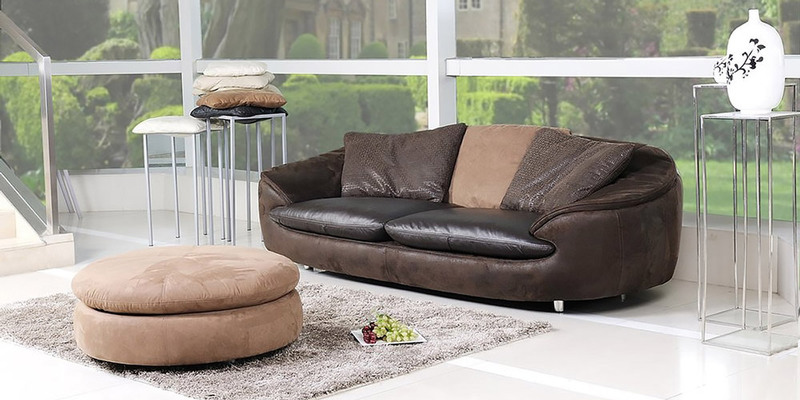 It’s an original neo-classic sofa, with rounded lines which provide great comfort. 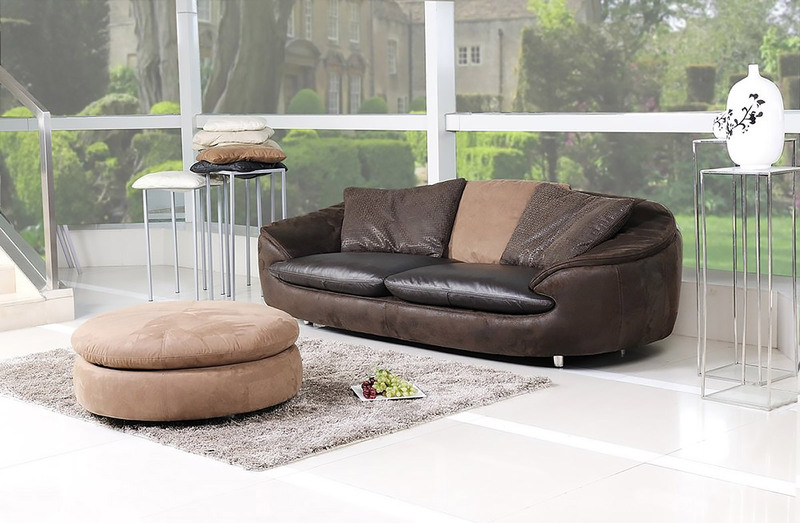 Large and wide seat cushions and three large pillows (standard) on the backrest complete the cosiness of this leather sofa. An ottoman, which you can see in front of the sofa, is made of D90 microfiber cloths. It can be ordered for £525. The feet are made of polished stainless steel. The body of the sofa is of maya and desert colours. The seat cushions are made of thick leather, they form a large “flower”. The two side cushions are of crocodile oil colour, the central cushion is of beige microfiber.